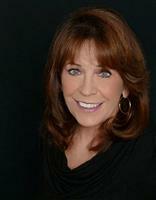 Diane Stow is a Longmont native, and has been one of the top 15 producing agents in the RE/MAX Mountain States Region for many years. She holds the Certified Residential Specialist, Accredited Buyer Representative, and Senior Real Estate Specialist designations among others. She is a member of the prestigious Re/Max Circle of Legends and in 2015 was recognized as one of the top agents in the nation by Real Trends. Most importantly, Diane cares about her clients and the care that they receive from her and her team. She believes in listening to her clients' needs and trying to meet them through good communication, prompt service & attention to detail. She is well-connected to an extended team of service providers to help make each transaction flow smoothly from beginning to end. She obtained her real estate license in 1976. She specializes in Boulder County, Southwest Weld County and Southern Larimer County which includes the communities of Longmont, Niwot, Boulder, Loveland, Lyons, Berthoud, Firestone, Frederick, Mead and Johnstown and surrounding rural & mountain areas. Let Diane's experience work for you today!